The Association of Continuity Professionals (ACP) is a non-profit 501C(6), mutual benefit association of professionals with responsibility or interest in the areas of Risk Management, Business Continuity Planning, Disaster Recovery Planning, Emergency Management or Information Systems Security. ACP provides an effective forum for exchanging information and sharing experiences. The Capital of Texas Chapter of ACP is dedicated to prepare Central Texas to become a more resilient community by integrating Risk Management, Business Continuity Planning, Disaster Recovery Planning, Emergency Management, and Information Systems Security knowledge through education, collaboration, and professional networking. ACP is a place where professionals from all risk disciplines can come together to identify common needs and problems and share solutions. Enhancing the security and resiliency of Central Texas by sharing resources and knowledge within continuity and risk management practices. Founded in 1983, ACP is a non-profit trade association dedicated to fostering continued professional growth and development in effective contingency and business resumption planning. With chapters all across the U.S.A., and thousands of members, ACP is the largest networking and information exchange organization in North America for business continuity and disaster recovery professionals. ACP membership is open to anyone with an interest in or responsibility for the varied aspects of contingency planning. For more information about ACP, please visit the Association’s Corporate web site at www.acp-international.com. 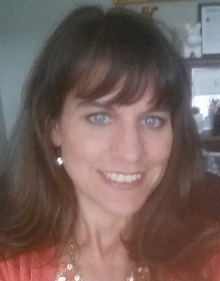 Michelle Neisen has been employed by Health and Human Services (HHS) System agencies since 2008 and currently serves as the Business Continuity Coordinator for HHS System with transitioned responsibilities to Department of State Health Services. 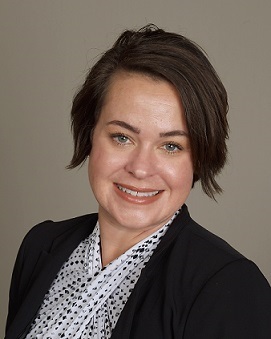 Ms. Neisen is a Certified Business Continuity Professional through Disaster Recovery Institute International and a graduate of the elite Executive Leadership Academy through Health and Human Services. For over 9 years with HHS System agencies, she has forged and maintained constructive and cooperative working relationships. She manages risk evaluation and business impact analysis processes cross-agency, effectively leading and motivating staff at all levels. With Executive Leadership support, she continues to foster increased cross-functional coordination and collaboration, while serving as an exemplary change agent during operational restructuring. As a Master Exercise Professional, she develops, conducts and supports exercises across the state as a subject matter expert. She is an approved FEMA Continuity and Incident Command System trainer and volunteers her time educating and mentoring others. Patti has been the Director of Office Management and Business Continuity for over 12 years. She supports Business Continuity and Emergency Management for Austin Habitat for Humanity. Patti has been a member of ACP and has served on the Board of Directors since 2009. Patrice is currently serving as the Emergency Management Coordinator at University of Texas (UT) System and has been in this role since January 2013. Prior to UT System, she has over 20 years experience in the emergency management industry with agencies including Travis County Emergency Management, Texas Department of Emergency Management and the Texas Highway Patrol. Her vast knowledge and experience in emergency management encouraged develop skills in many risk disciplines; business continuity, training, plan development, exercise development/delivery, and as a presenter. She is a certified Texas Emergency Manager, Master Continuity Professional, Certified Emergency Manager and a current Board member of Emergency Management Association of Texas. Patrice is an active member of ACP currently serving on the Board of Directors as the Education and Seminars Director. Olivia has served as the Emergency and Continuity Planner for the Texas Animal Health Commission (TAHC) Emergency Management Department since March 2016. Prior to working at TAHC, she was an instructor and Regional Support Officer for the Aston Educational Group in Xi’an, China for two and a half years. She is a new Board member of the Capital of Texas Chapter of the Association of Continuity Professionals, and is a certified Professional Continuity Practitioner through FEMA. She received her Masters of Public Service Administration from the Bush School of Government and Public Service at Texas A&M University in 2012, concentrating in Emergency Management. She also holds a Bachelor of Arts in Political Science and Government.